New Products! New colors! New sets! New specials! 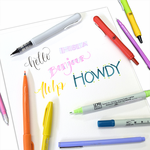 Keep checking back to see what's new at Marker Supply!